Here is a niche for you, including some free keyword research. From time to time I like to spend a few minutes exploring new niches and checking them out on spyfu.com. 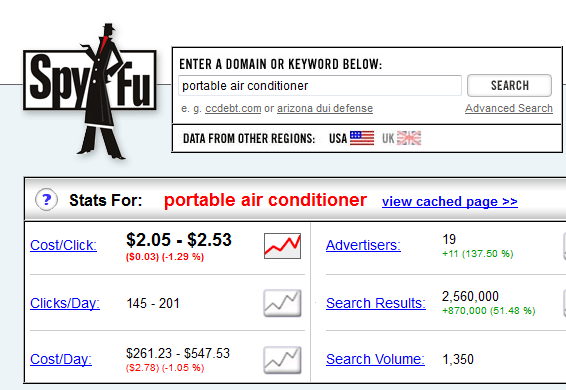 When I put a keyword phrase into the spyfu tool, I am looking for a cost per click over $1.50 and more than 10 advertisers. If people are not paying for ads and actually advertising in the niche, it is going to be pretty hard to make money as a affiliate in that niche. Here is the output from the popular Keyword Snatcher (affiliate link) tool from Jon Leger. You can use the list to start your own site or further keyword research. mec portable air conditioner malaysia ?? ?